I had one amazing run this morning. I think I’ve discovered the perfect food to fuel a longer run (for me, a longer run=anything longer than 3.5). Meghann mentioned once on her blog that before she runs in the morning, she eats half a Clif Z-Bar. I tried this today. When I got up, I drank a ton of water, broke a S’mores Z Bar in half, and popped it into my mouth. I love the S’mores flavor, they’re absolutely delicious. I decided to run on the treadmill this morning to give my knees a break, and popped out 5.5 miles, no sweat! Although I had to get off the treadmill once at the 4 mile mark to use the bathroom, the miles came off pretty easily. I think I could’ve done more had I not worn myself out (I ended up going at 7.5 for 2 minutes and that was a bit too fast for me!). After a quick shower I threw together an old favorite for breakfast. and broke out a Vanilla Chobani to dip the apple in. I personally am more of a fan, I think, of the Fage brand. I think they’re my favorites in regards to Greek Yogurt. 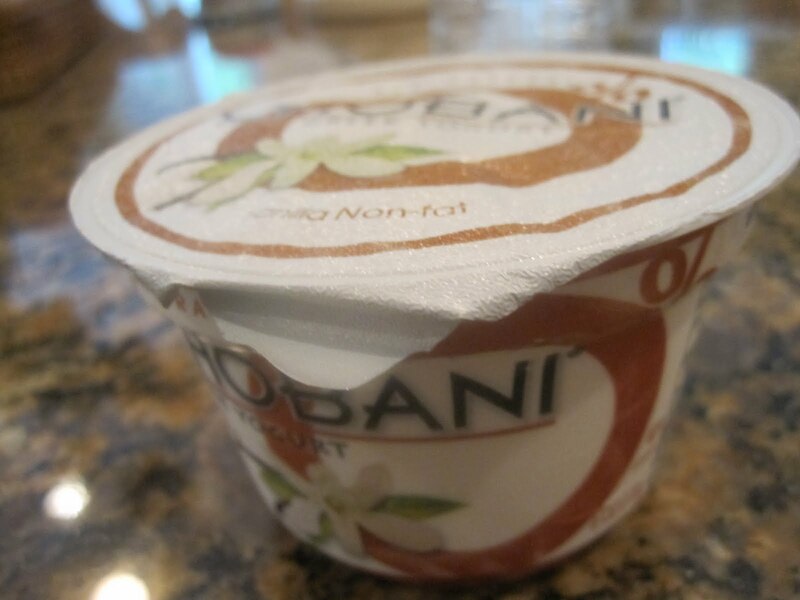 Chobani’s fruit flavors are awesome, but Vanilla tasted a bit off. I didn’t like the Honey flavor for this same reason, although also I thought the Honey one was going to have honey on the bottom but it’s more of a honey-flavored yogurt. 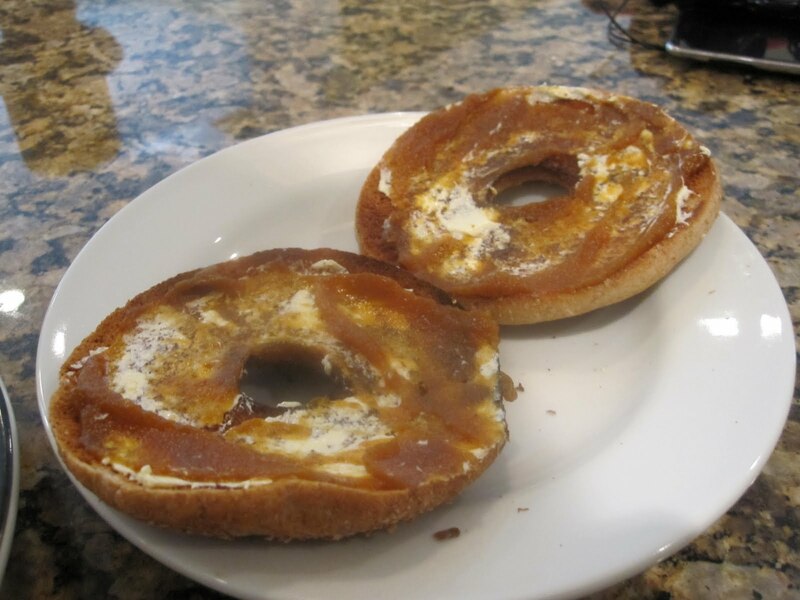 This is actually one of my favorite breakfasts. When I have a plethora of plain or vanilla yogurts and am unsure of what to use them in (and I’m out of cereal so no breakfast yogurt bowl), I end up pairing it with an apple and toast. The only thing that really changes is what toast I use, what I put on it, and also what brand of apple/yogurt. 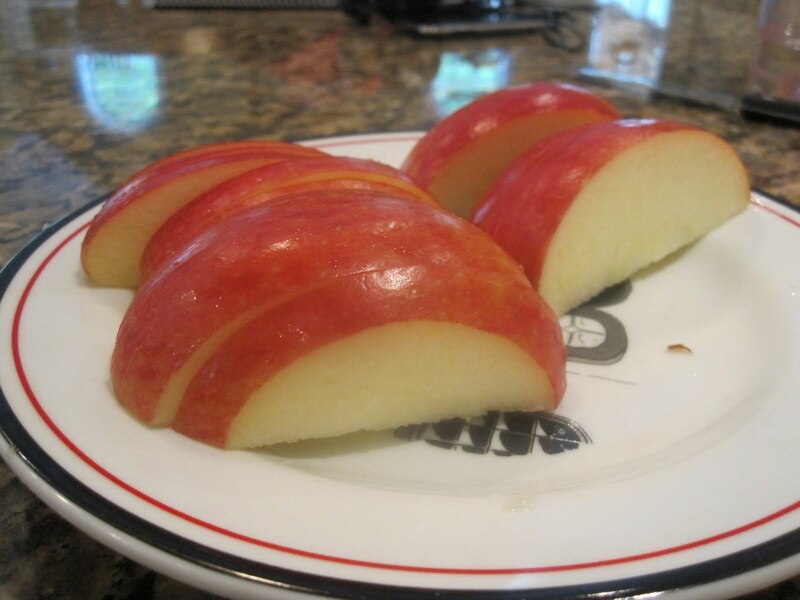 My favorite apples to eat (or dip) are Braeburn, Fuji, and Honeycrisp. Now, off to drink some tea to calm my stomach so I can run my errands without interruption, plus I have a good old doctor’s visit today. Wish me luck!